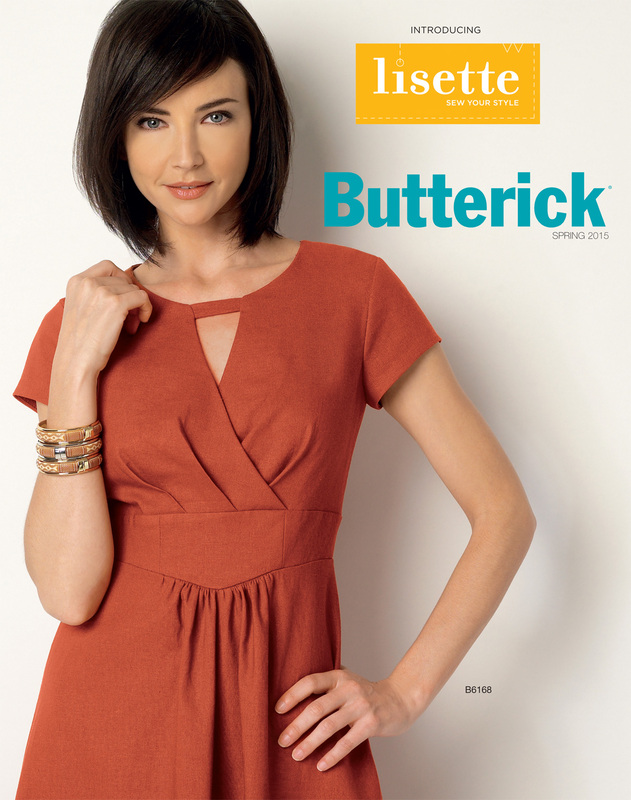 Butterick knows how to pick a pattern for their catalog cover, don’t they? 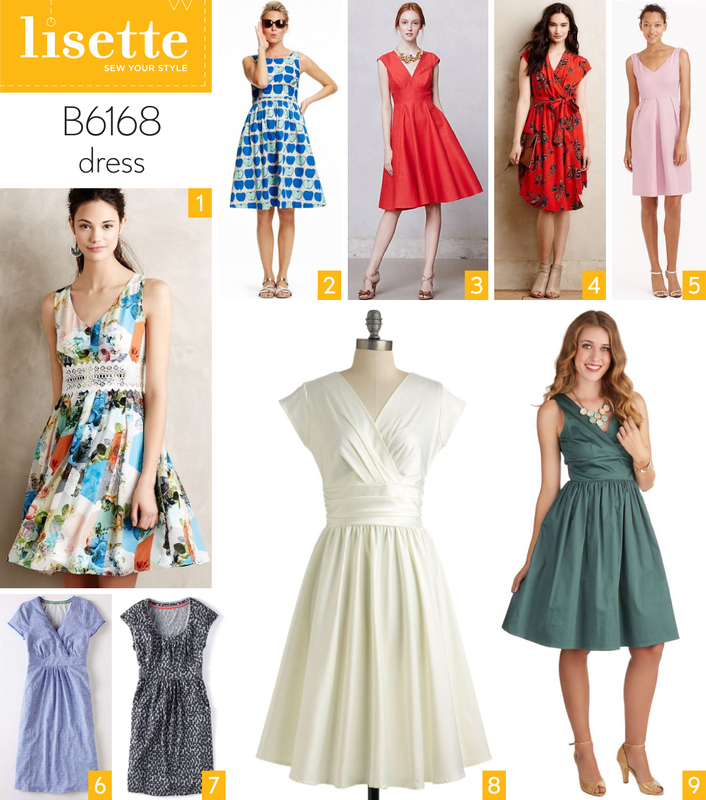 The new Lisette B6168 dress is clearly your favorite pattern from the latest Lisette collection. And with good reason. It’s a versatile surplice-style dress that can be sewn for everyday wear as well as for fancy occasions. And of course it has that figure-flattering fit-and-flare silhouette, which is always a popular choice for virtually any body shape and size. I’m excited to sew this dress for myself, and I have the perfect fabric for it! This print is an interesting combination of vintage and contemporary styles. It works well with this dress style, I think. And by the way, it would be easy to add fullness to this skirt if you’re so inclined. Red silk dupioni. The nubby texture keeps the dress interesting, and the sheen of the silk give it a little glam sparkle for special occasions. Pink faille. Wedding party. Or even non-traditional bride. In the right color, this dress could easily transition to date-night dress without blinking an eye. And in black faille it could be the most elegant little black dress ever. This is my favorite of all your new patterns I cannot wait to sew one up! So many fabrics look great for this dress, it will be a hard choice. 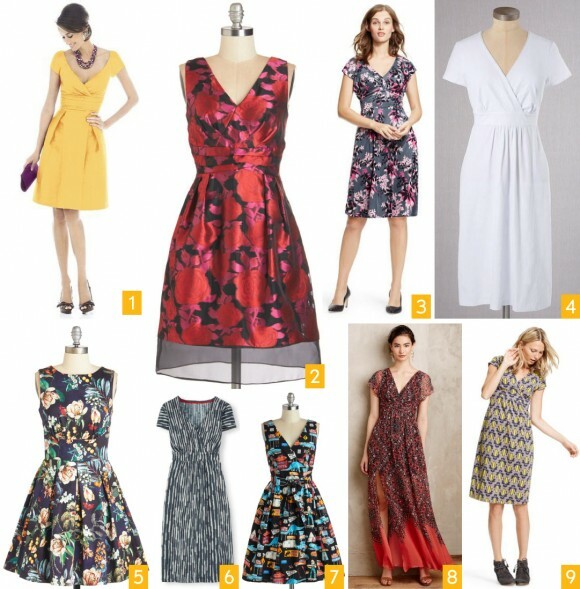 Could you make this dress without that tab across the front like all the dresses you’ve featured? I love the shape and would like to give it a try. I am looking forward to this sew along! I have some fabric I was hoping to use for this pattern but it is more drapey than what you suggest here. From the description, it is similar to this silk-linen me woven at mood: http://www.moodfabrics.com/natural-silk-linen-woven-fs22927.html It has a nice light-to-medium weight but the structure is more like a soft linen than a poplin or dupioni silk. Do you think it would support the pleats in the bodice well enough? The gathers in the skirt seem perfectly suited. I am glad this is not a really full skirt, both for the amount of fabric it requires and for the style which seems very flattering but also practical. Thank you for including the model in the orange dress to show more variety in body shapes! Laura, you could absolutely make it without the tab. You’ll want a little interfacing or even boning to hold the corners depending on your fabric choices, but you could absolutely do it. And Addie, drapier fabrics will be fine! I think it will be really pretty. I’d also be interested to hear if the dress could be altered to omit the tab and the cutout it creates at the neck. I LOVE the dress other than that feature. I’m not a fan of any type of keyhole or cutout neckline and don’t feel it flatters smaller busts. I love the red silk dupioni! That would be an amazing holiday party dress. Thanks Liesl. This fabric is a really pretty dusty sea green that will be perfect for dressy summer events. I can’t wait! I’d love to be able to adapt this dress to allow for nursing. I think it could be done. It is my favourite. And thankyou for showing the last photo of the orange dress. I know it will look good on me now (not that I didn’t before). Thanks so much for promising to help with the FBA! I greatly appreciate it, and can’t wait to make. I have some lovely magenta rayon . . . or maybe some of the Kaufman radiance fabric would be nice . . . .
Stacy, the sizes on the Lisette patterns are the same traditional sizing as all the large pattern companies: Butterick, McCalls, Vogue, and Simplicity. These sizes are very different from contemporary vanity sizing, so they won’t correspond to the sizes you wear in a clothing store. Don’t let it throw you, however! I’ll talk more about finding your size very soon. Instead of getting rid of the tab at the front would it be possible to fill it in somehow? I like the higher neckline with the tab but don’t love cut outs on me.